The foundational claim of Christianity is Jesus died AND rose to life again. The Apostle Paul says that if the resurrection didn’t happen, anyone who claims to be a Christian is in a world of hurt (1 Corinthians 15:3-4, 14, 17-20). “But resurrected from the dead?! Really? I believe in facts. I believe in the laws of science.” Me too! But I also believe that the supernatural is not the opposite of belief in the natural. Just like Paul said, “Why should any of you consider it incredible that God raises the dead?” (Acts 26:8). Let me give you a simple example. Suppose I divide $5 evenly between two of my buddies. The laws of mathematics dictate that both of them will have $2.50. But what if one of my friends, through some sleight of hand, steals some of my other friend’s money? The fact that one of them now has more than half doesn’t change that mathematical law that $5 divided evenly is two sets of $2.50. It appears the laws of biology have been interfered with, that a supernatural miracle has occurred. The supernatural fact that Jesus was resurrected does not change the biological fact that death is irreversible. We just didn’t expect the outside influence. Just like we didn’t expect one friend to steal money from another friend. What does this mean for you and me? It means that you can trust God’s word. All of it! Jesus told us that He would die by crucifixion and that He would be resurrected three days later (John 10:18; Matthew 20:19). If that word came true, we can also trust this word: We can have our sins forgiven and receive God’s gift of eternal life—just as Christ was raised from the dead through the glory of the Father, we too may live a new life (Romans 6:4). The law of sin says: All of us have sinned and fallen short of God’s standard. The unbreakable law of sin is that the penalty for unforgiven sin is eternal death. 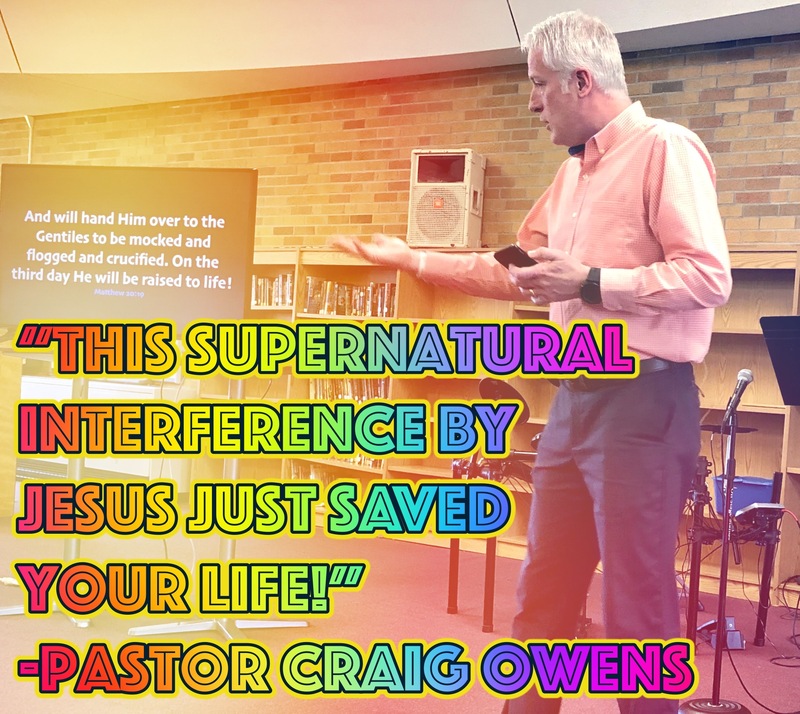 That law cannot be broken, unless there is a Supernatural interference—a miracle! Jesus interfered. He took our sins upon Himself. He supernaturally switched places with us and let the death penalty fall on Himself. And if we believe in that, we can have our sins forgiven and receive what we didn’t expect—eternal life with God! Jesus is on His passionate journey toward the Cross. Every step on this journey is a step of love. After Jesus finished His last supper with His disciples, they all went to one of their favorite places to pray—the Garden of Gethsemane. It was a place they all knew well. Including Judas, who had been looking for an opportunity to turn Jesus over to the religious authorities when He was out of the public eye. Jesus knew this time was coming (Matthew 10:33-34; John 13:1, 3; 18:4), and His knowing prompted His serving. So we can say that His foot-washing service was as much a reminder to Himself as it was to His followers. After they entered the garden to pray, events began to unfold at a fast pace, ultimately culminating in Jesus being crucified. But let us never forget that through all of this horrific, inhumane mistreatment and torture, Jesus remains the King of kings, the Son of God. In fact, very God Himself. The Jewish religious leaders knew this too (John 8:54-59; 10:31-33). And without “knowing it” the soldiers that came to arrest Jesus knew it as well. Which makes His submission to Pilate and others even more amazing! One word from Him could have crushed legions and toppled governments—yet for love’s sake, He submitted. Let that sink in—Sovereignty submitted. 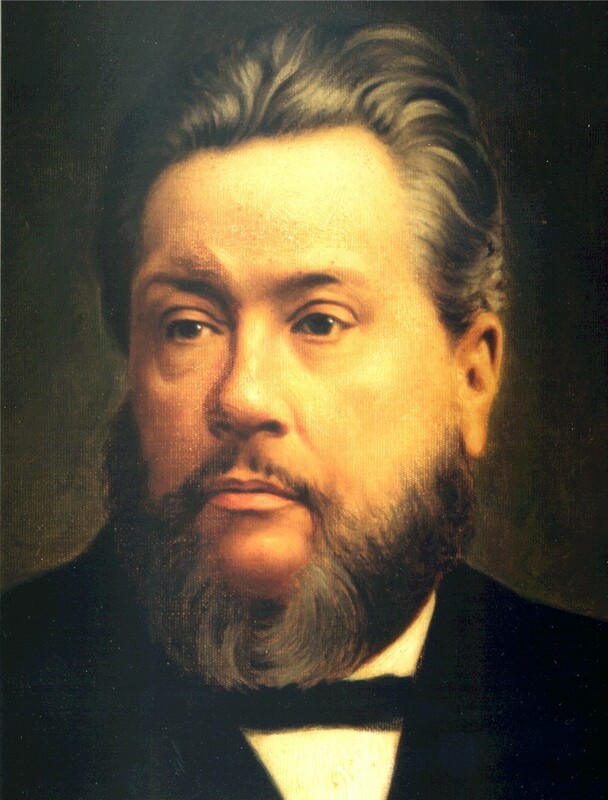 What appeared to be the cruelty of man was the sovereignty of God. Sovereign love submitted to the cruelty of man SO THAT you and I could be saved from the inescapable doom that will inevitably crash down on us. Jesus loved us so much that He allowed the Cross to happen to Him. The question now remains—what are you doing with this sovereign love? Do you know Jesus as your Savior? Have you received this gift He willingly, lovingly purchased for you on the Cross? If you have, let me ask you another question: Christian, are you living in a way that leads others to this sovereign love too (John 13:34-35)? 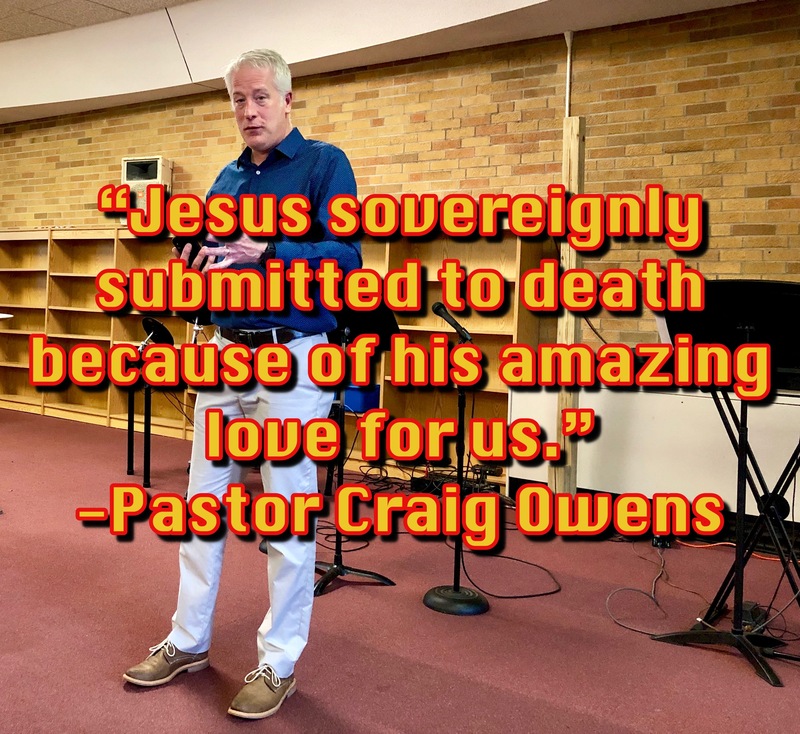 Anytime you see the Cross, remember what sovereign love did there for you. 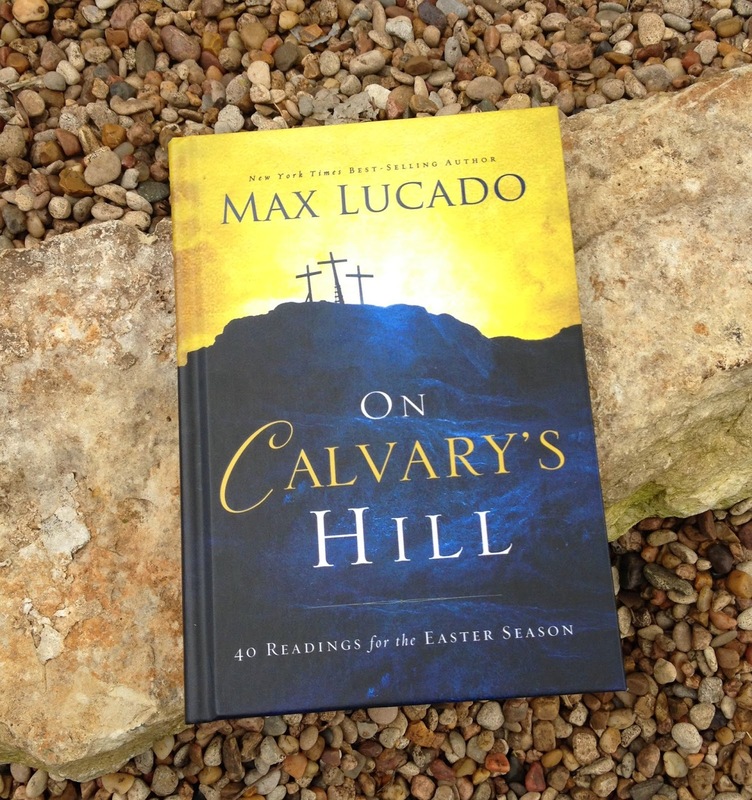 Max Lucado takes us in for a closer look at the Cross and all that Jesus did there for us. Please check out my full book review and then read this book—you will be glad you did! Max Lucado has an inimitable style of writing that immediately draws us into his subject—in this book the focal point is what Jesus did for us on the Cross—gets us to look at it in a new light, and then helps us walk away with a fuller understanding. The title of this book is really the answer to the sub-title—Q: What did God do to win your heart? 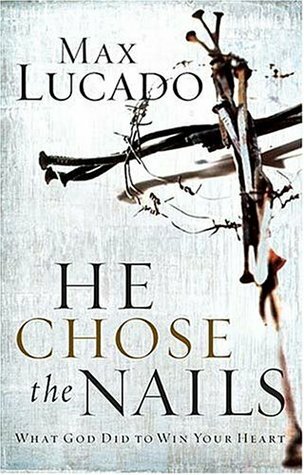 A: He Chose The Nails. 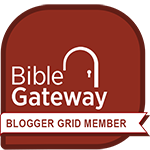 In keeping with the theme of God answering the book’s question of how He won your heart, all but two of the chapters use statements from God as their title. Statements like “I will bear your dark side,” and “I forgive you,” and “I understand your pain,” and “I will love you forever.” In each chapter, Max takes us nearer to the Cross and to the Savior who bled and died there to show us how much God loves us. This is a book that can easily be read together with your family or a group of friends; especially if you then utilize the study guide questions for each chapter at the back of the book. This is a book that could be read rather quickly, but because Max paints such a vivid picture of God’s unexpected love you will want to read slowly and savoringly. This is a book that could be read at any time, but I would recommend you read it during the days and weeks approaching Good Friday and Resurrection Sunday. Whether reading alone or with friends, reading quickly or slowly, reading it during the Lenten season or at another time, I can promise you that your heart will beat more strongly with the assurance of God’s overwhelming, mind-blowing love for you. “First, I would bid you stand and see the place where the Lord lay with emotions of deep sorrow. O come, my beloved brother, thy Jesus once lay there. He was a murdered man, my soul, and thou the murderer. ‘Alas! and did my Saviour bleed? “I slew Him—this right hand struck the dagger to His heart. My deeds slew Christ. Alas! I slew my best beloved: I killed Him who loved me with an everlasting love. Ye eyes, why do ye refuse to weep when ye see Jesus’ body mangled and torn? Oh! give vent to your sorrow, Christians, for ye have good reason to do so…. My soul was drowning. From heaven’s high portals He saw me sinking in the depths of hell. He plunged in. There’s ne’er a gift His hand bestows. “Ah! we may indeed regret our sin, since it slew Jesus. Jesus made His passion, crucifixion, and resurrection unmistakable. He told us the Scriptures that He would fulfill (v. 18). He told us the details of His crucifixion and resurrection (v. 19). And He received the “stamp of approval” from His Father (vv. 31, 32). When Jesus came into Jerusalem, was arrested by the religious leaders, condemned by Pilate, crucified by Roman soldiers, and resurrected three days after His death, no one should have been surprised because Jesus made it unmistakable! Jesus also told us how to make our belief in all He did for us unmistakable too—“By this will all know that you are My disciples, if you have love for one another” (v. 35). 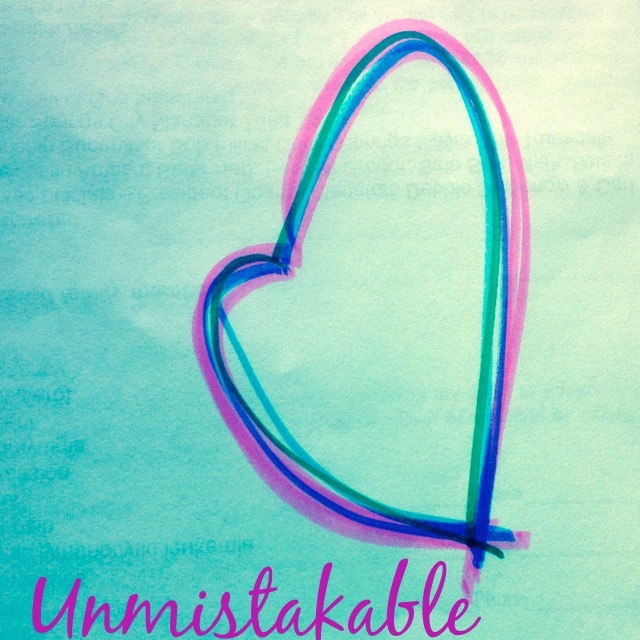 Q—How unmistakeable is my belief in Jesus Christ? A—It’s directly tied to how evident my love for others is!